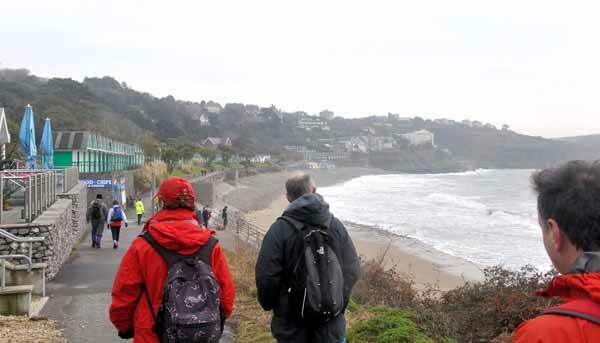 This is a linear walk which starts with a bus ride from Oystermouth to Caswell Bay then a coastal path back to Oystermouth. (Check bus times before travel). 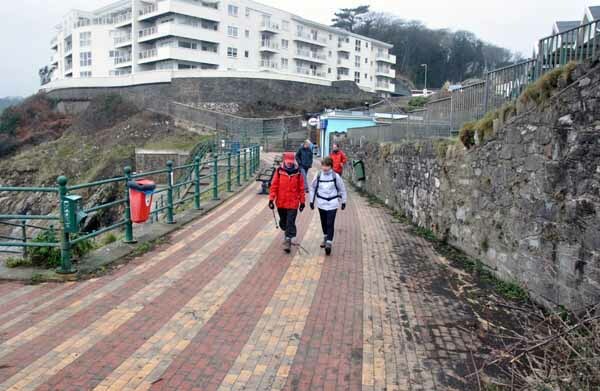 In Caswell Bay take the path between the cliff and the back of the seaside food outlets. The path is mostly well surfaced but does follow the contours of the cliff so expect some up and down. You quickly move away from Caswell which in summer can be very busy. Looking west you can see the Gower coast but we are heading east back towards Mumbles. The cliff path provides good views over the sea and depending on the time of year, the flowers growing on the cliffs add a splash of colour to the walk. If you are lucky you might spot a seal swimming near the shore. 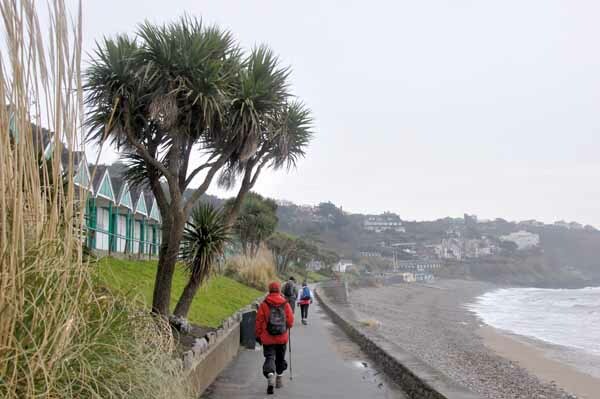 The walk takes you around to Langland where you can see rows of seaside chalets more usually found on the south coast of England and can buy refreshments before continuing the walk. 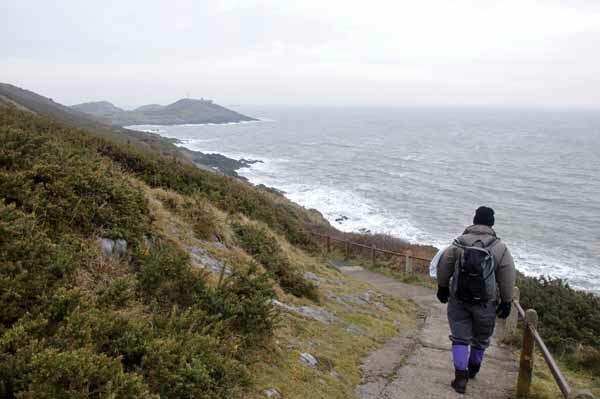 It is difficult to go wrong on this walk as you just keep the sea on one side, cliffs to the other and enjoy the views. 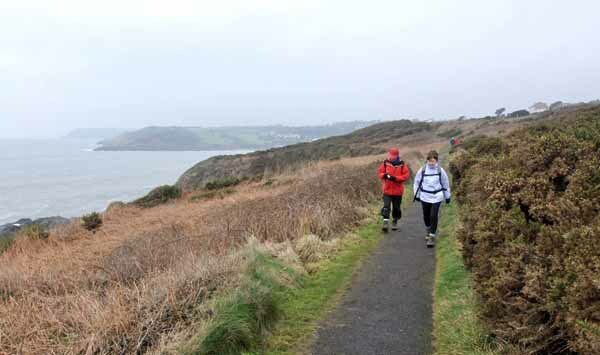 Leaving Langland behind, the path passes another chance for refreshments before leaving the houses and chalets behind. After a while the path goes slightly inland where you take the right fork to return to the coast. 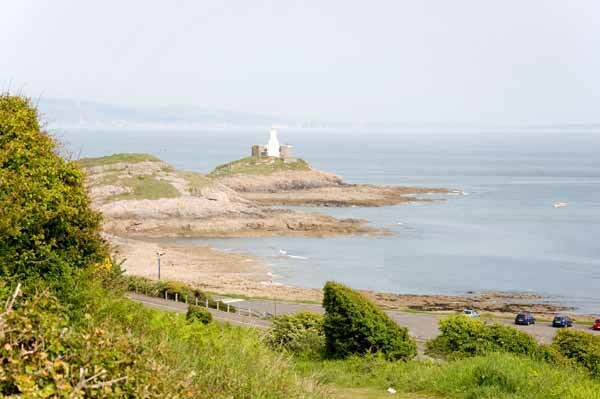 In the distance you might see the smoke from the chimneys of Port Talbot steel works and nearer to Mumbles the coastguard station at Bracelet Bay comes into view. 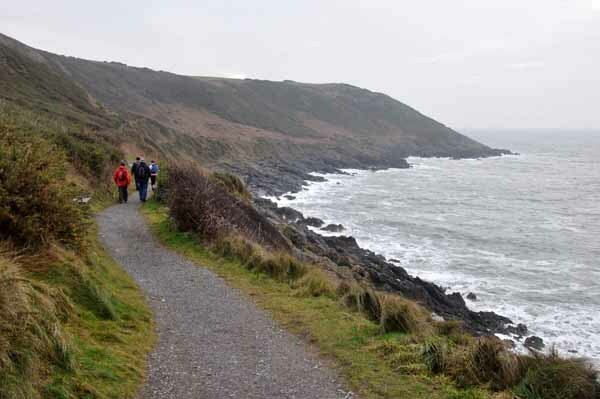 Before leaving the cliff path at Limeslade, watch for the Gower stone that marks the start of the AONB. 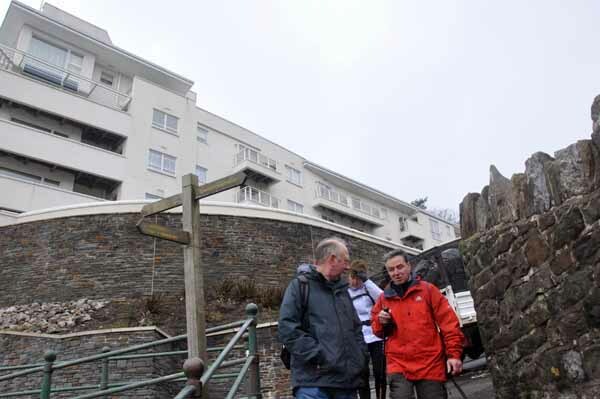 Fortes cafe is just along the way and near here you could shorten the walk by catching a bus to Oystermouth. 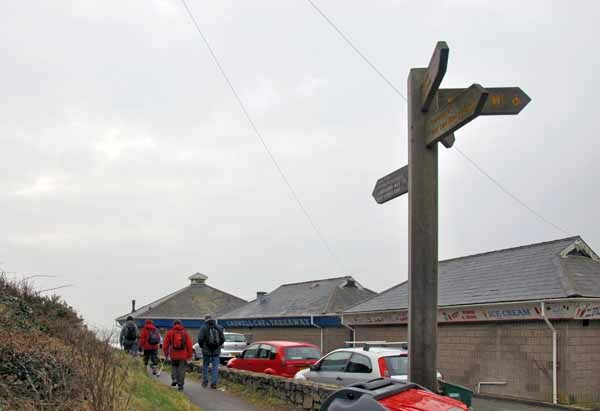 To do the full walk, follow the pavement past Bracelet Bay car park to the Big Apple kiosk. 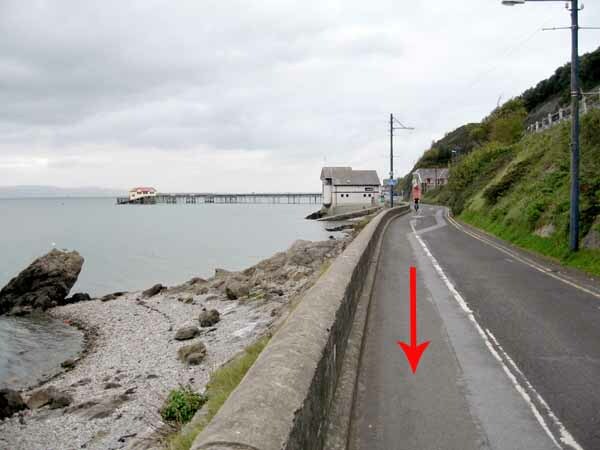 Descend to the amusements pavilion where you could visit the pier before continuing to Knab Rock and along the seafront back to Oystermouth. Ramblers Cymru and Swansea Ramblers provide these routes but accept no responsibility for those walking them. 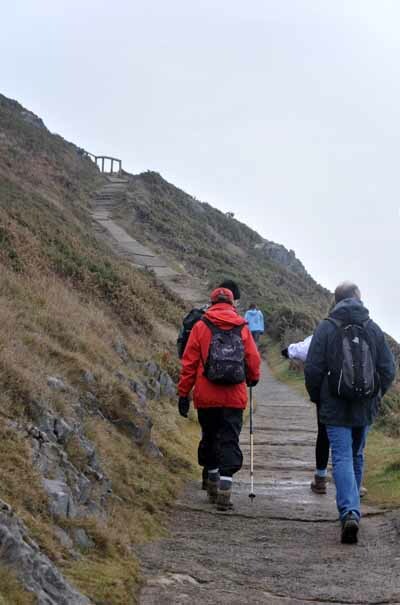 If you would like to go on a walk but would prefer to do so with a group of people then click on our Programme section to see what walks we are leading. 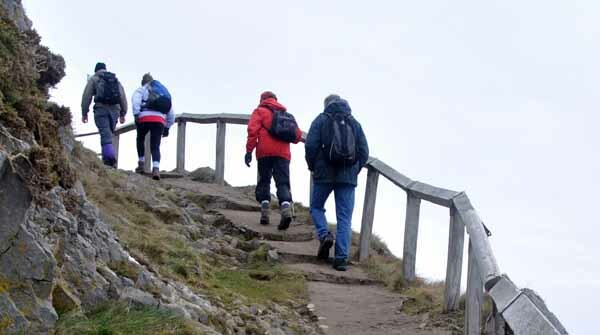 We have walks for varying levels of ability and you get the chance to see the countryside in places you might never go by yourself! 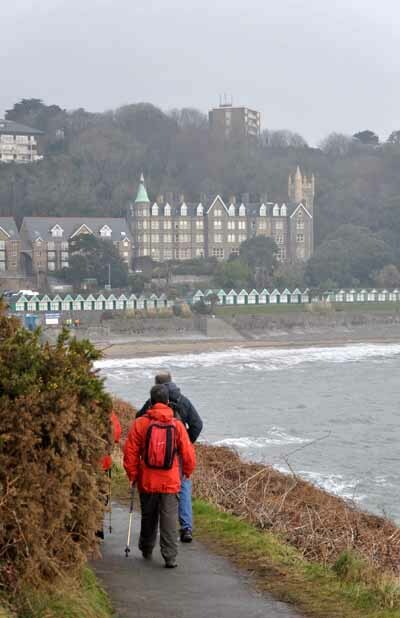 Swansea Ramblers hope you enjoy doing this walk. - for example - path diversions, new gates instead of stiles or maybe the path has become blocked. 1. Which walk you have been on. 2. The type and location of the change or the problem you have experienced. Of course you may just like to tell us that you have done the walk and whether you enjoyed it. Use the link below to email us about your walk.